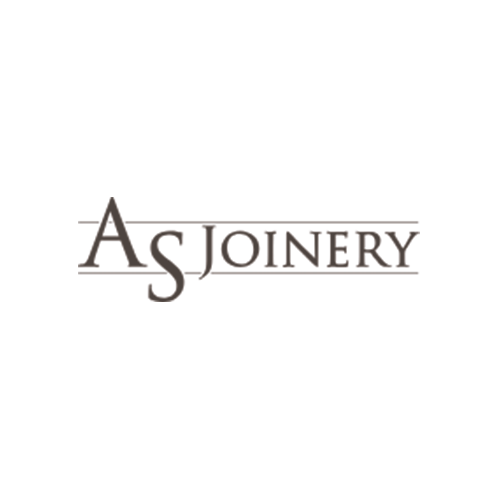 AS Joinery is a bespoke joinery company offering hand-made products to domestic, commercial and trade customers. Timber frames and wooden furniture can set a space apart. The choice of wood and finishes available means you can truly create something unique. Whether you need to hide an ugly chimney breast, make use of an awkward alcove or simply want something special, AS Joinery can help. Whether for work or home, a timber bookcase can be a charming addition to any space. Choose from a variety of wood and finishes for a customised look which will uplift any room. A TV Unit is often a prominent piece of furniture, especially in the living room. Large or small, we will design a bespoke unit to meet your needs. No bedroom is complete without appropriate furniture. Whether it be a bedside cabinet or a chest of drawers we can design you bespoke furniture that you will be proud to display. 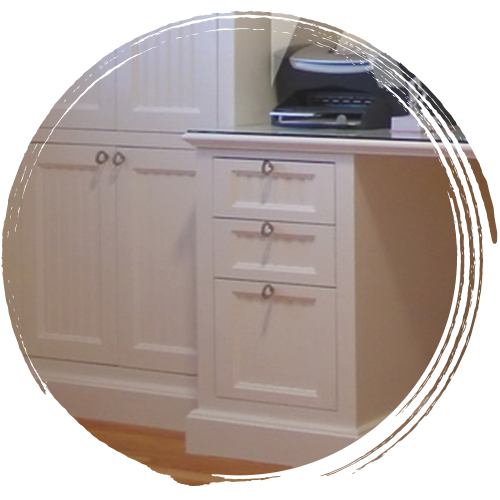 Create a home office you never want to leave. We’ll design and construct your office to fit your space and your own unique style. 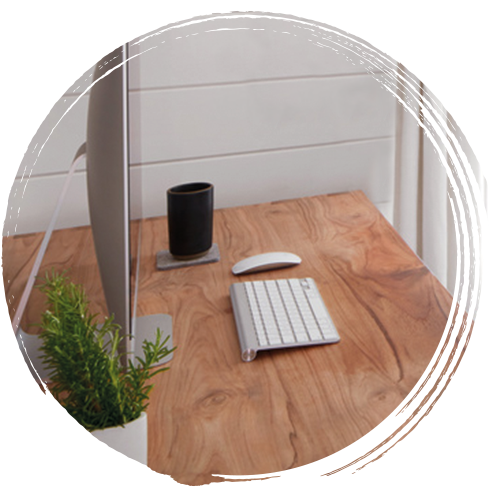 Our desks are built to last, using the highest quality materials and traditional joinery methods. Whether you want something classic or contemporary, we’ll create something you’ll love. 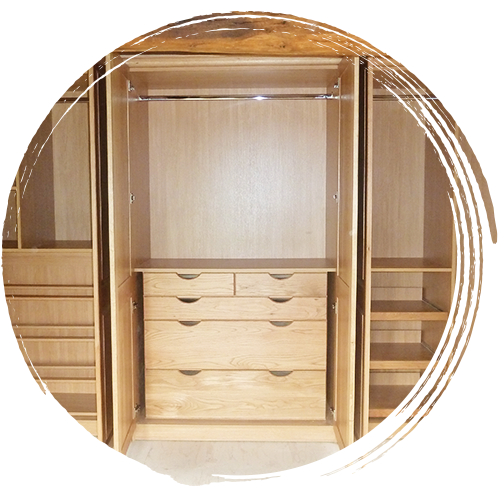 Made-to-measure wardrobes, designed with your needs in mind, are a fantastic addition to any home. We can create practical solutions for rooms of any size and shape. 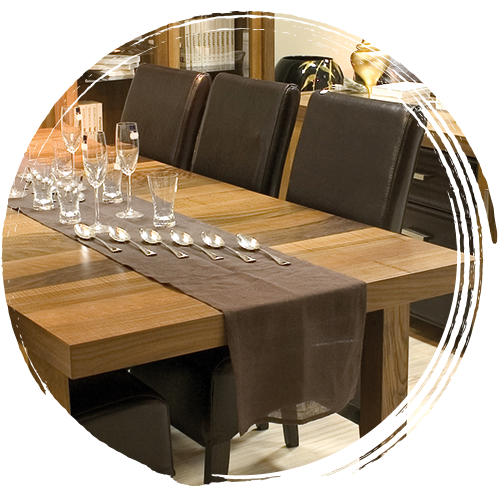 Dine in style with your own custom-made timber dining room furniture. Choose from a range of high-quality timbers to create a style that matches your property and personal taste. Solid wood floors create a fantastic first impression for visitors, as well as being extremely practical. 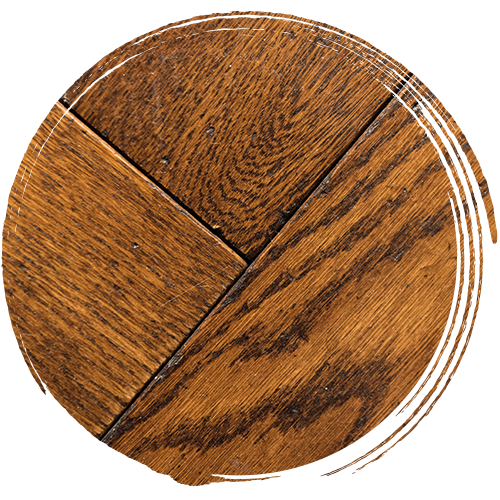 We offer a range of solid wood floor solutions to meet your needs. Timber framed orangeries are a wonderful addition to your property. We can work with you to design and construct a hardwearing frame built from high-quality timber. Creating timeless handmade kitchens is our area of expertise. We’ve been helping property owners turn their visions of a dream kitchen into a reality for over 30 years. We are committed to quality, so all our work is carried out to the highest standards and completely guaranteed. We work with some of the finest materials and take great pride in our craft. Our passion for what we do is evident in the quality of our work. No matter how small or large a project, we approach it with the same care and attention to detail every time. If you’d like help creating your dream kitchen, then we’d love to hear from you. Our bespoke kitchen specialists will discuss your needs and make recommendations based on your unique space and your personal tastes.